Expanding the international tourism industry will be a cultural challenge for Japan. Japan’s successful bid to host the 2020 Summer Olympic Games in Tokyo is expected to bring a windfall to the tourism industry with an increasing number of visitors coming from abroad. Taking advantage of this opportunity to develop the newly emerging tourism industry will be a major task, but one that can significantly impact the future development of the country. Sporting events have always been leveraged as a chance to boost tourism, but how best to accomplish this task can be challenging. The hosting of major events is often subject to intense competition among nations, but there tends to be little evidence hosting actually pays off and the economic impact of the large financial commitment is often very limited. One notable exception, however, was the Australian Olympic Games held in Sydney in 2000. These Games, along with the associated positive tourist impacts, have been deemed a great success. John Morse concludes that the pre-Games strategy and tactics developed by the Australian Tourism Commission were the most important contributing factors. They have been recognized by the International Olympic Committee (IOC) as a benchmark on how to maximize benefits for both the Games and the host country. 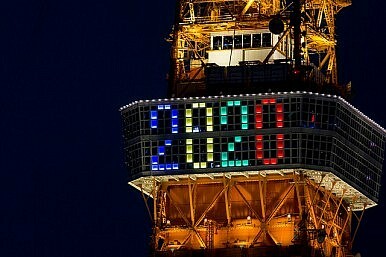 To emulate the Australian Olympic experience, Japan needs to develop pre-Games strategies and tactics that focus on developing and engaging human resources in tourism services, make concerted efforts to satisfy the requirements of travelers, and create a more favorable environment for tourists from abroad. One major issue that must be addressed is meeting the needs of tourists with diverse linguistic and cultural backgrounds. According to statistical data for 2013, travelers from Asian countries, primarily China, South Korea, Thailand and Vietnam, account for more than 75 percent of the total number of foreign visitors to Japan. Promotional and advertisement campaigns supported by the government have been very successful in making Japan known to travelers from these Asian countries. Visa requirements have been relaxed somewhat and many services provided at hotels, restaurants, stores and other public facilities in Japan have been designed to meet the requirements of these visitors. For example, many souvenir shops employ staff who can speak Chinese or Korean. A less impressive statistic, however, is the number of visitors from major Western markets, which although increasing over time, remains relatively low. A contributing factor is the difficulty finding someone who can communicate effectively in English. Insufficient foreign language services ranks top among complaints from foreign tourists, and travelers from the United States and Europe often have trouble, particularly in areas regarding transportation, due to the complexity of the system and the limited number of signs in English. Menus may have pictures of food, but the lack of sufficient English explanation hinders the tourist experience. Traditionally, Japan has been a mono-ethic and monolingual country with the Japanese placing a high priority on their own cultural identity, with a tendency to reject people from different cultures. Such prejudices may negatively impact tourism: A number of observers have argued that Japan usually pays more attention to the spreading of its own culture rather than accepting others. But if Japan wants to realize its goal of attracting foreign tourists, it will need to improve its citizens’ intercultural awareness and highlight the issue of intercultural communication education. Tourists with different linguistic and cultural backgrounds show differences in their expectations and attitudes towards their travelling visitor experiences. Programs should be established to address the needs and interests of foreign visitors. Fortunately, the government has begun to recognize the problem. In a recent White Paper for Tourism, it has suggested strengthening foreign language education to increase the number of individuals who can offer good service to tourists speaking different languages. It will not be an easy task. A beneficial effect of improved language services would be the expansion of the number of areas which tourists desire to visit. The typical tourist travel pattern is the package tour, where tourists are taken around famous tourist sights. However, with more tourists visiting the country, participatory or experience-focused tours could be expanded to respond to changing tourism needs. But as Philip Brasor recently noted, tourists may not warm to Japan’s welcome. Dr. Dennis McCornac is a Visiting Affiliate Professor at Loyola University Maryland. He has extensive experience in Asia previously holding university positions in both Japan and Vietnam. Dr. Rong Zhang is an Associate Professor at Nishinippon Institute of Technology and has been teaching in Japan for over 15 years. Tourism remains an area of great potential for the Asia-Pacific. Further developing the governance pillar of U.S. Asia strategy will require managing a mix of opportunities and challenges.